The land of colourful tulip fields and canals. 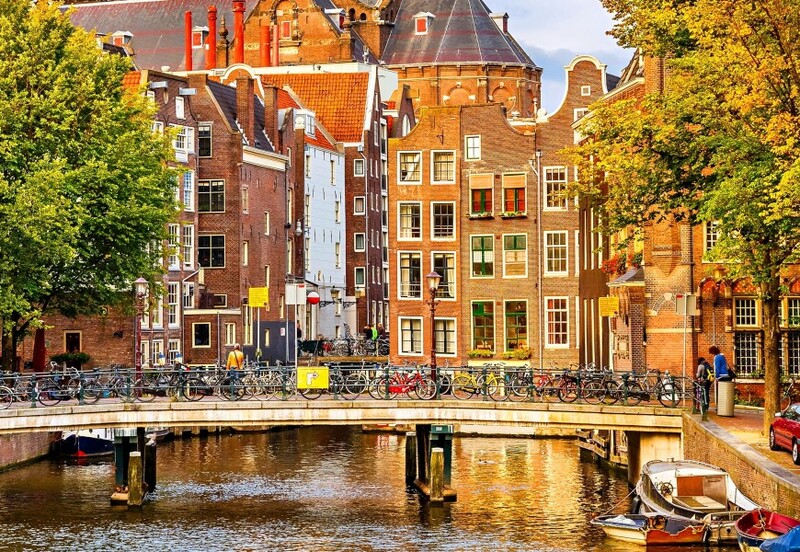 The Netherlands is a land of colourful tulip fields and canals, sophisticated cities and some of the most striking coastline in Northern Europe. It punches well above its weight culturally, laying claim to the likes of Van Gogh, Rembrandt and Mondrian, amongst others. Visitors will find The Netherlands to be a very welcoming country full of fascinating cultural sights and beautiful natural scenery. From the fun-loving capital of Amsterdam and the historically rich towns of Delft and Groningen, to the tulip and windmill-strewn countryside, a holiday in the Netherlands is guaranteed to delight all comers. Amsterdam, the capital city is renowned for its step-gabled houses, UNESCO-listed network of waterways, bicycles, ‘hazy coffeshops’ and the adult entertainment district. To the south lies Rotterdam, an industrial port city that has undergone a major makeover in the recent years and acquiring in the process some excellent museums and an affinity for hip-hop. The southern city of Maastricht in the much-maligned Limbourg region is a city of beauty dotted with churches and bisected by a mighty river. Towards the coast, the area is filled with colourful fields of tulips dotted with windmills and dairy farms producing the wheels of cheese for which the country is so famous for. For those in search of a sandy beach, head to the North Sea beaches of Zeeland which stretch for over 600km.